I don’t think it needs to be said that Mauritius has some beautiful beaches. 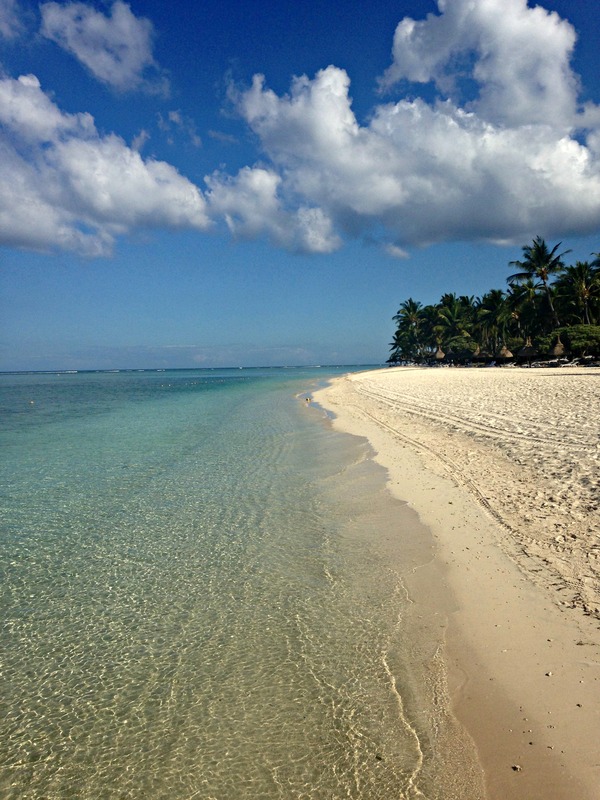 The tiny tropical island is almost completely ringed by coral reef which means that the beaches are calm and shallow. Not ideal for surfing but perfect for swimming, water sports, and sipping a drink in the shallows. 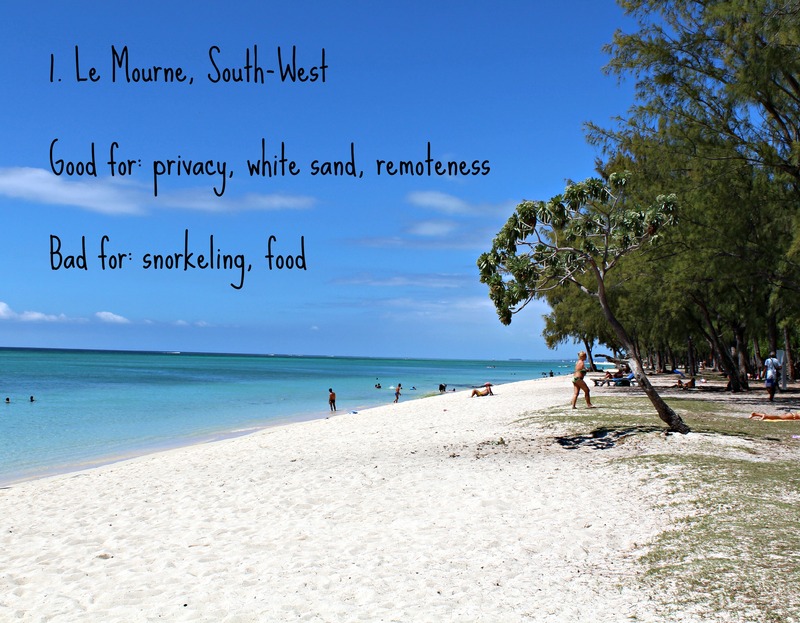 All beaches on Mauritius were not created equal so I have comprised a list of the five best. Le Mourne is situated on the South-Western tip of Mauritius. It is characterised by a craggy monolith which is actually a UNESCO world heritage site for it’s role in the abolition of slavery on the island. The public beach is sandwiched between two big resorts and features a long white stretch of sand. Le Mourne has clean, clear water and patches of sea grass. 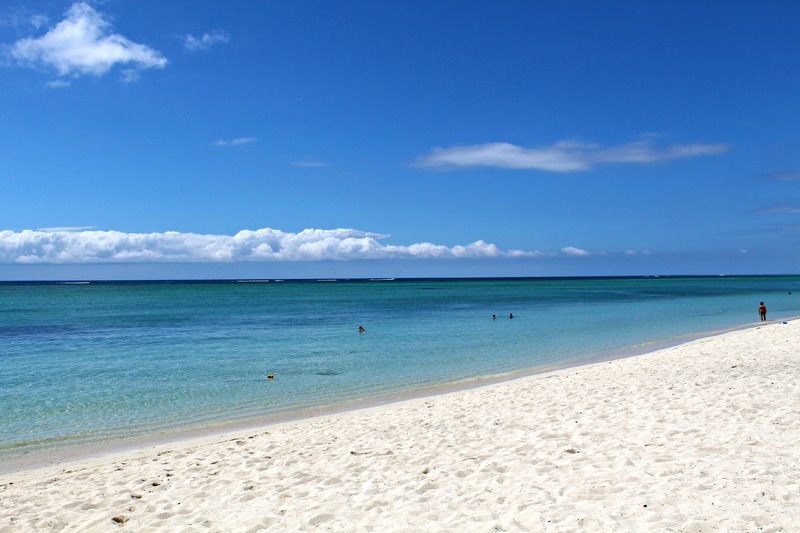 Unlike a lot of other beaches in Mauritius, there are not too many boats around making this beach a good one for relaxing. There is a small restaurant on the far end of the beach that caters to tourists. It’s pricey but there are not many food options due to it’s remote location. How to get there: Can be reached by public bus (Might take awhile!). If you are feeling adventurous then maybe hire a scooter from Flic En Flac for 500 RS a day and drive along the coast going through Black River and Tamarind. Just don’t miss the turn off! Flic en Flac beach is very popular with the locals. Public holidays and weekends see the beach overrun with huge families having elaborate picnics, children splashing in the shallows, and long lines at the multitude of food vendors. 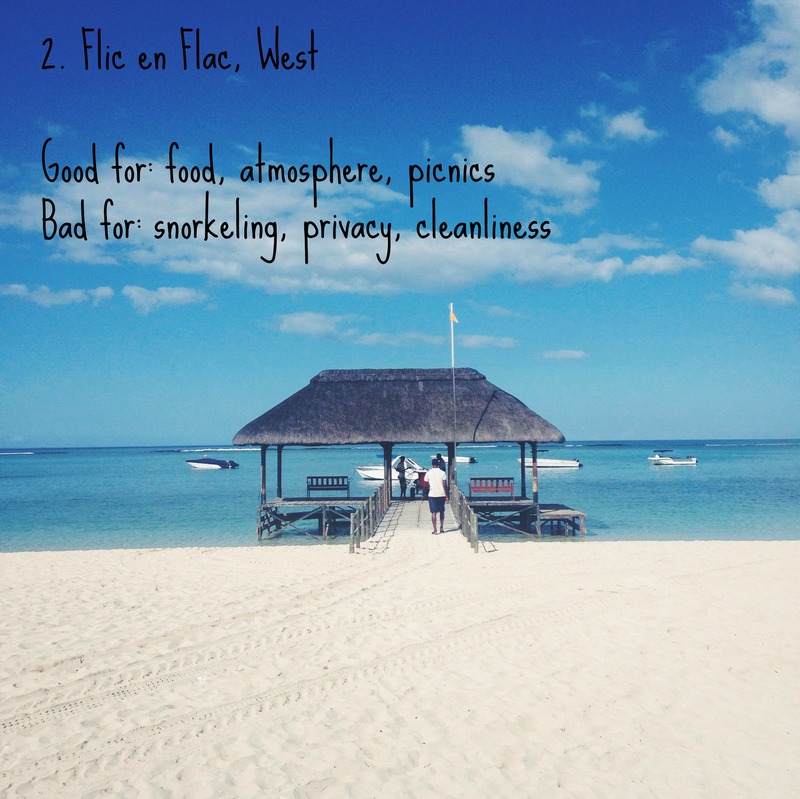 If you are looking for a peaceful day at the beach then maybe go elsewhere but if you are after a genuine Mauritian experience that will put a smile on your face then Flic en Flac is the place. The beach can get a little dirty because of the sheer volume of people. My absolute favourite food vendor, Roti AKA Vinoda, parks at the beginning of the public beach and serves up hot spicy roti. Just go early because he regularly runs out. How to get there: Flic en Flac is easily accessed by public bus. There are regular buses running from the middle of the island and they should cost you around 30 RS (around 2 dollars). Bonus tip: Avoid around the first week of January as the beach is a very popular place to camp. Unfortunately, every year people drown from drinking and swimming. It just becomes a bit too chaotic. 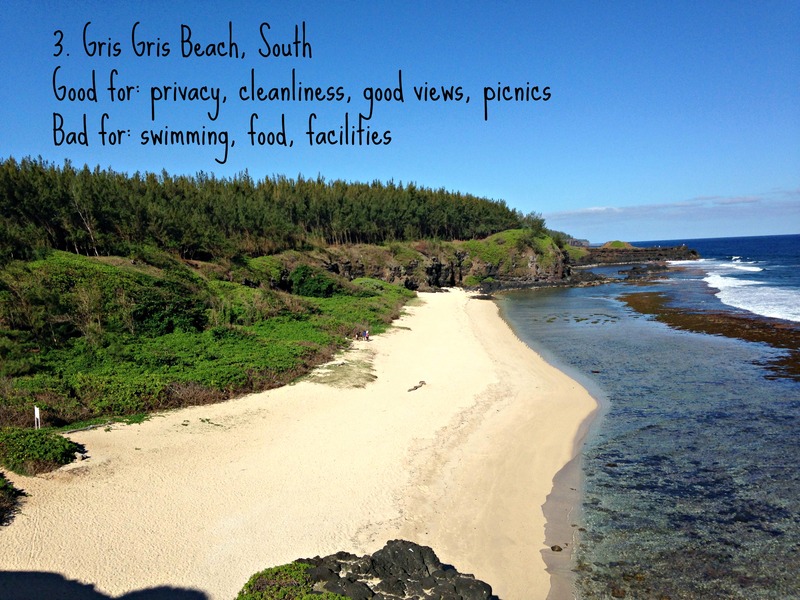 Gris Gris is a beautiful beach situated on the Southern-most tip of the island. This part of the island is unique because it is not surrounded by a protecting coral reef so the waves crash directly on the beach. I have never seen anyone swim at this beach despite it being almost pristine. Gris Gris is a perfect picnic spot and if you are feeling adventurous head along the coast down a lane that is signposted as ‘private property’ to reach incredible private clifftop spots. 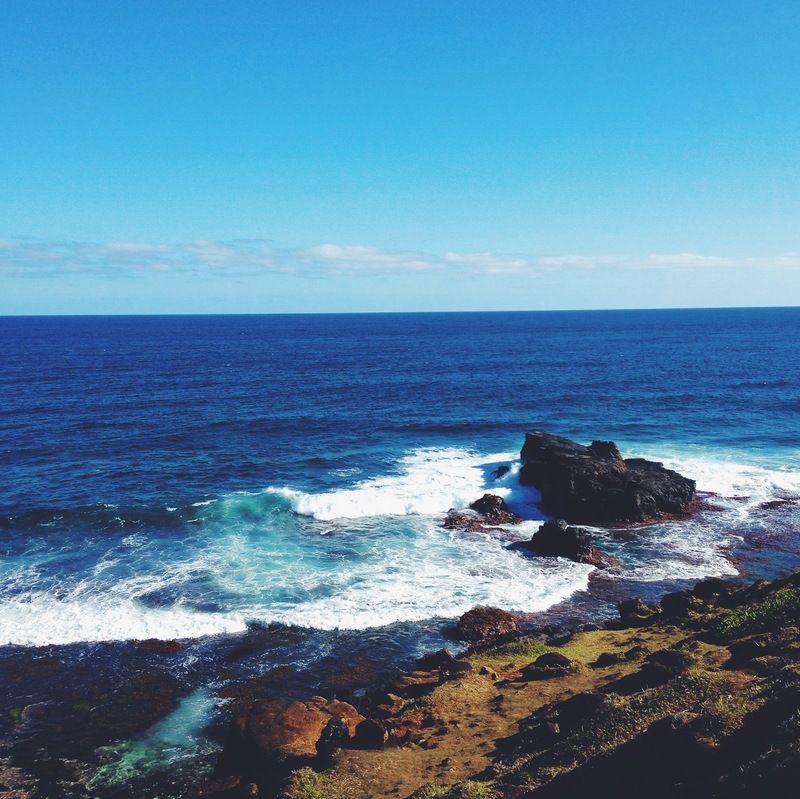 When looking out to sea at Gris Gris, there is nothing between you and Australia! How to get there: Public buses to this part of the island are a bit iffy. I would advise hiring a car and driving along the coast. 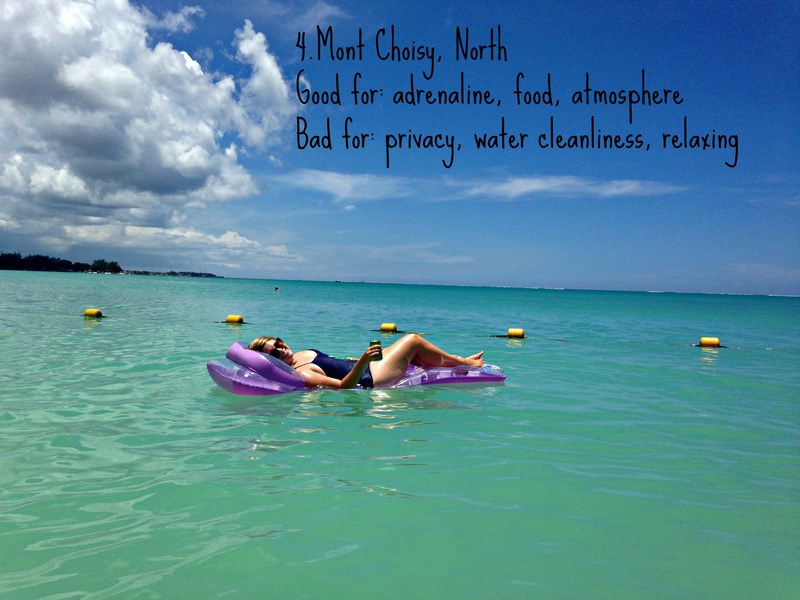 Mont Choisy is a personal favourite of mine because I’m actually twelve at heart and I love ACTIVITIES. In the last couple of years, Mont Choisy has transformed from a sleepy beach to a hive of fun water sports and food joints. This is the beach to go to if you’re interested in drinking a cocktail on the beach and then holding on for dear life as a boatman pulls you (too fast) on a rubber tube that has seen better days. Tube rides start at around 250 RS ($13) and you can choose the tube that you would like to go on. Make sure you tell the driver to go slow if you’re a bit of a wimp because otherwise they go at insane speeds. 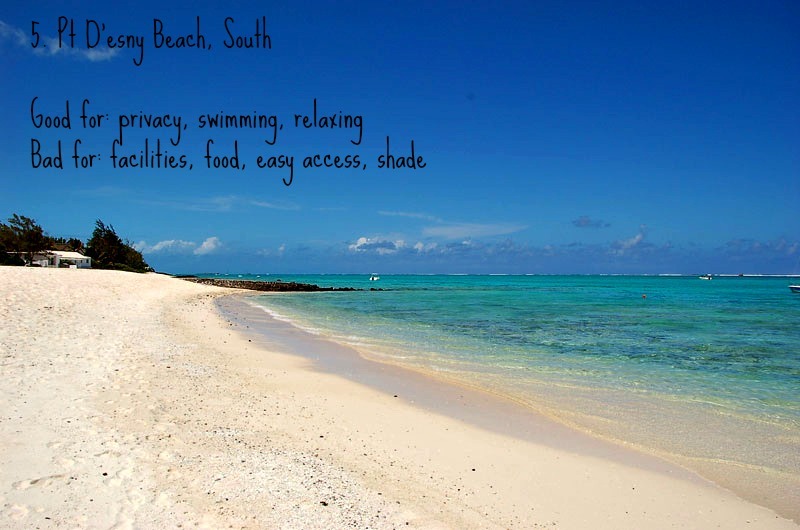 How to get there: Mont Choisy beach is situated about a 15 minute drive from the main tourist strip in Grand Bay. Buses run regularly. I grew up across the road from this white, sandy stretch of paradise and I think it is a well kept secret. The beach can only be accessed down a sneaky hidden path (ask any local and they will know!) which keeps this beach uncrowded and clean. The water quality is incredible but it has recently become a little crowded with people parking their boats. This beach has little to no shade and no toilet facilities or food vendors. If heading here for the day then pack a beach umbrella and some snacks. How to get there: Take a bus from the nearby town of Mahebourg and ask the bus driver to drop you at Pt D’esny beach. Bonus tip: The only time I have had any valuables stolen in Mauritius was at this beach. Keep an eye on your belongings! Have you been to Mauritius? Do you have any beaches that should be on this list? Which one would you choose? Leave me a comment or email me at dirtypawsblog@gmail.com.